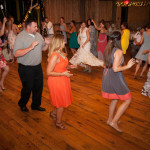 One of the keys to ensuring a successful wedding reception is to be sure to include a great variety of music during the celebration. 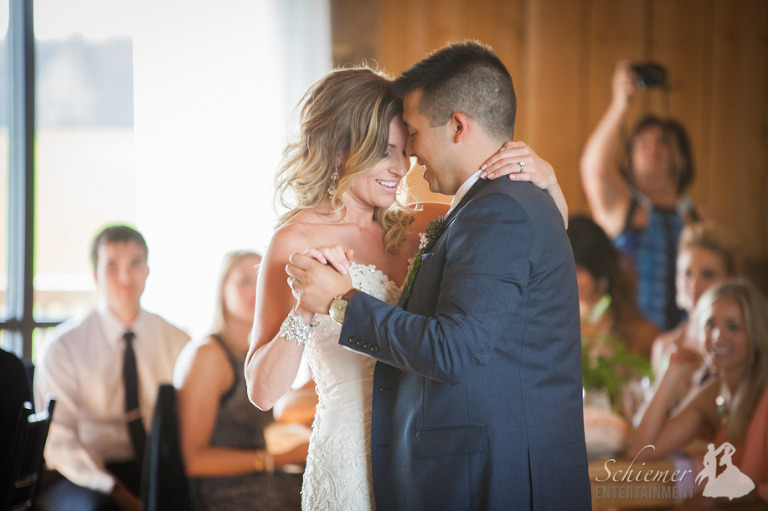 I encourage couples to take advantage of every moment of their wedding day to feature different types of music from their favorite artists. 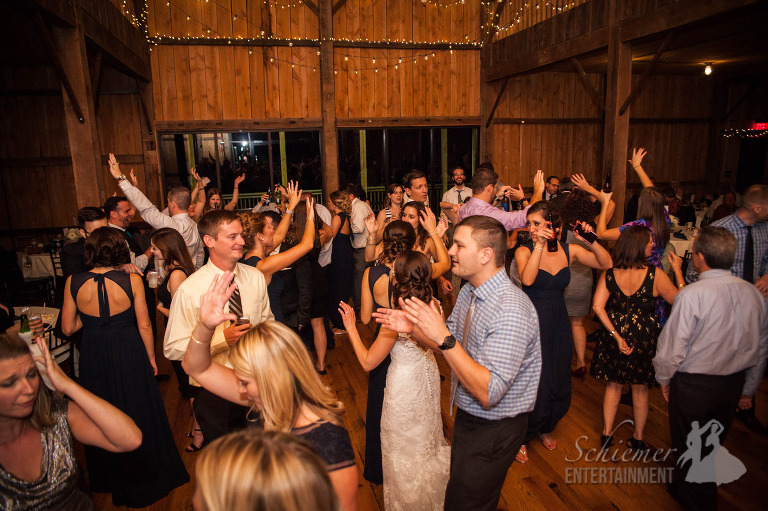 Melissa and Matt did an amazing job in choosing music, so all of their guests would be able to be part of the fun all day long. 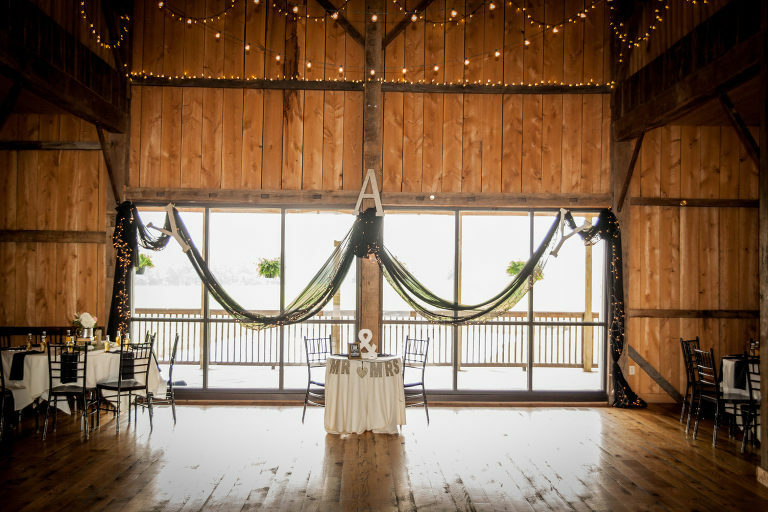 The reception was held at the beautiful and rustic White Barn in Prospect, PA. 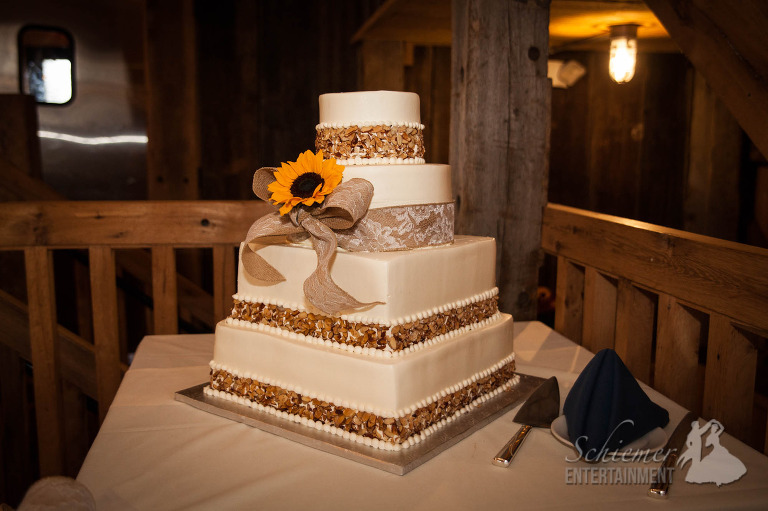 The barn looked fantastic decked out in Fall colors and flowers. 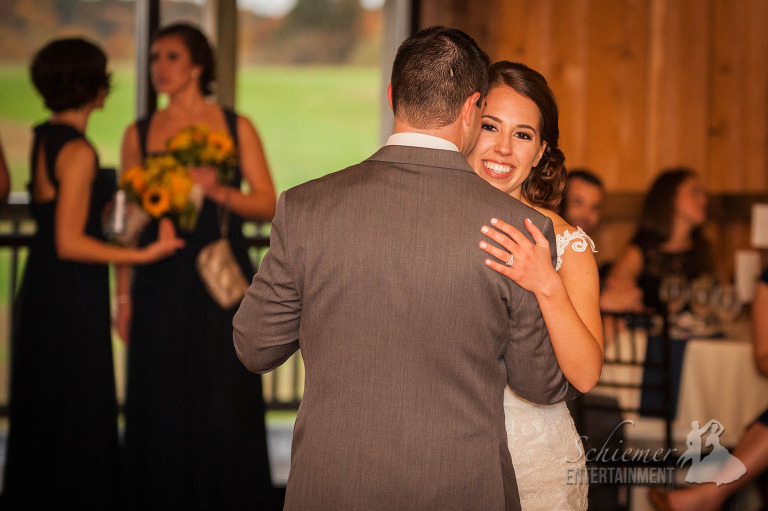 Melissa and Matt’s playlist included everything from Motown, R&B, rap and top 40 hits. 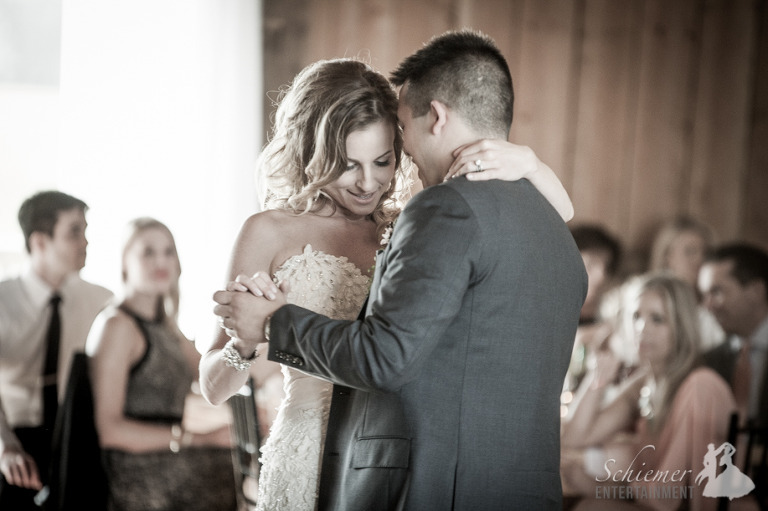 Including such a great mix of music was the perfect fit for their friends and family. 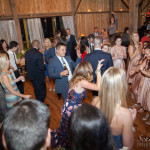 The party could have lasted all night long, but it was great to see so many guests at the end of the night ready for the couple’s wonderful sparkler exit! 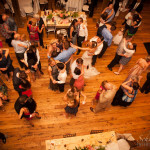 The newlyweds are soon off to Grenada for a romantic and well deserved honeymoon. 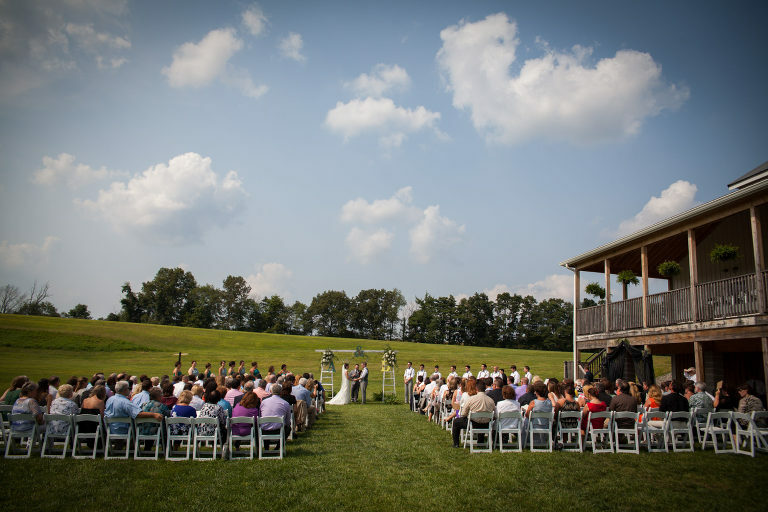 Amy and Doug’s wedding at The White Barn in Prospect, PA gave me a chance to really think about the power of words. 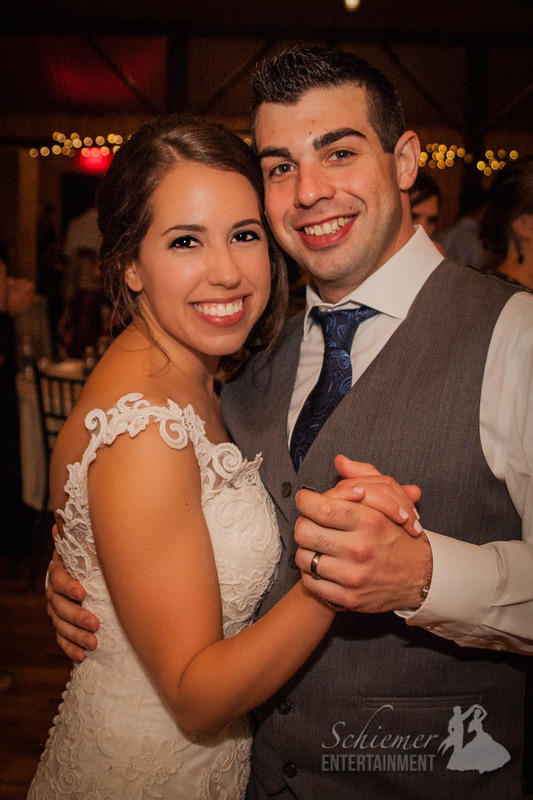 They took great care to express themselves not only through their vows, but also through their programs, table settings, and decorations. 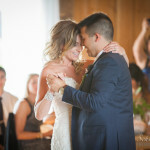 The way they used words and phrases gave the wedding a personalized touch that set the perfect mood for their fun and unique ceremony and reception. 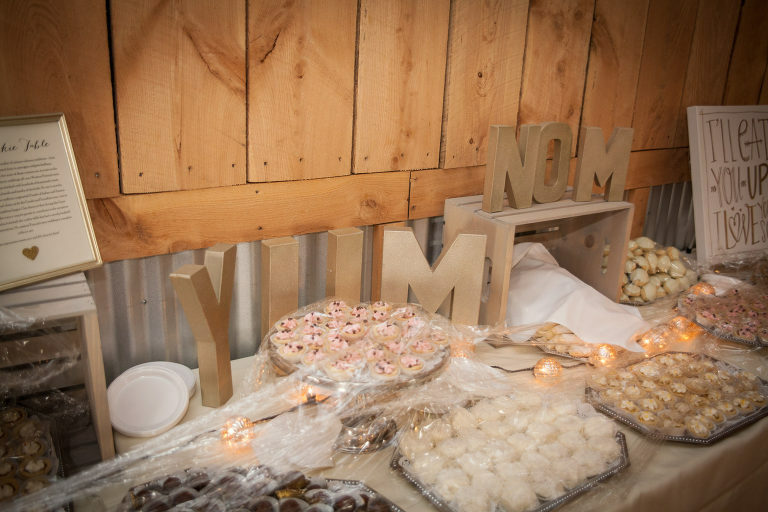 The many hours Amy and Doug spent making these customized decorations was well worth it. 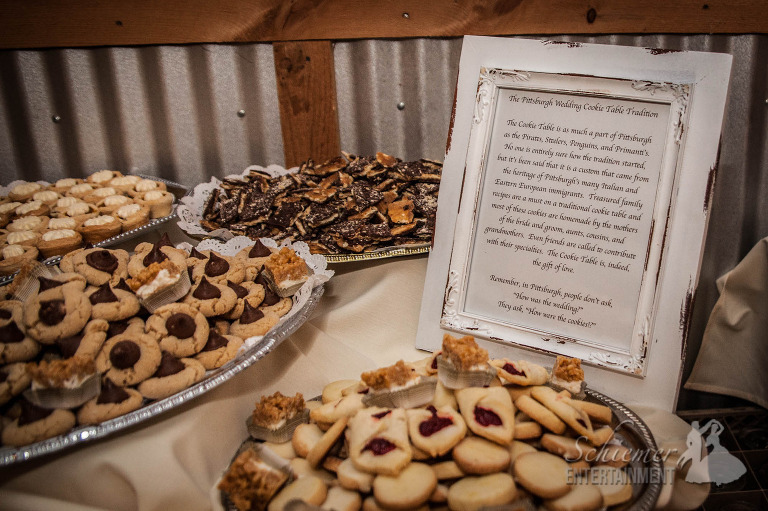 Each table’s center pieces even included a stack of antique books. 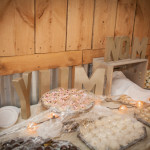 I loved how the main room at the White Barn included signs with beautiful quotes as well as ones that said NOM, YUM and YAY! 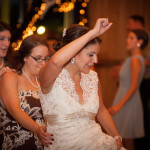 The newlyweds also spent time choosing an incredible selection of music to use throughout their special day. 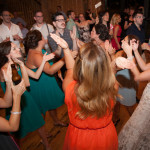 Music from every genre imaginable helped create a great mood for everyone to enjoy. 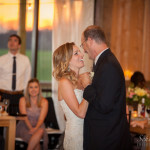 Amy and Doug are now off to St. Lucia for their honeymoon, which I’m sure will be too romantic for words. 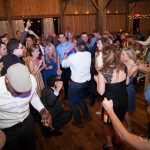 I’ve come to realize that every reception I DJ effects every wedding afterwards. 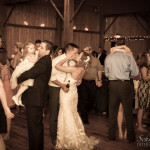 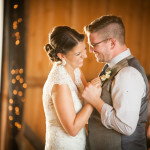 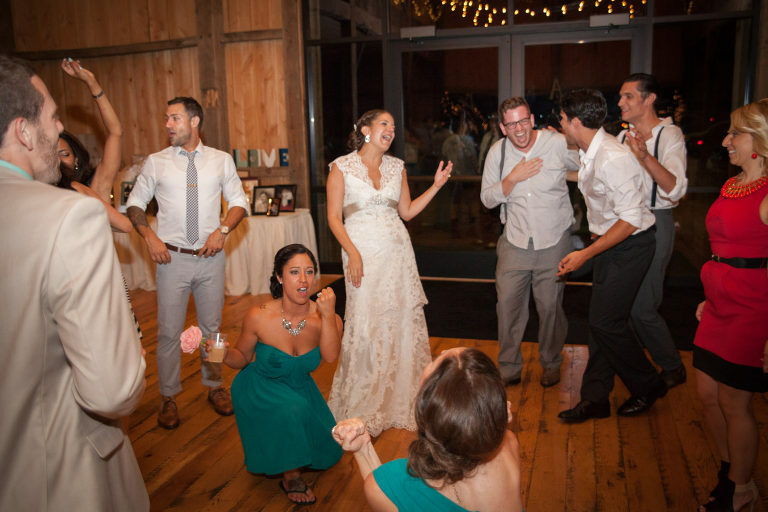 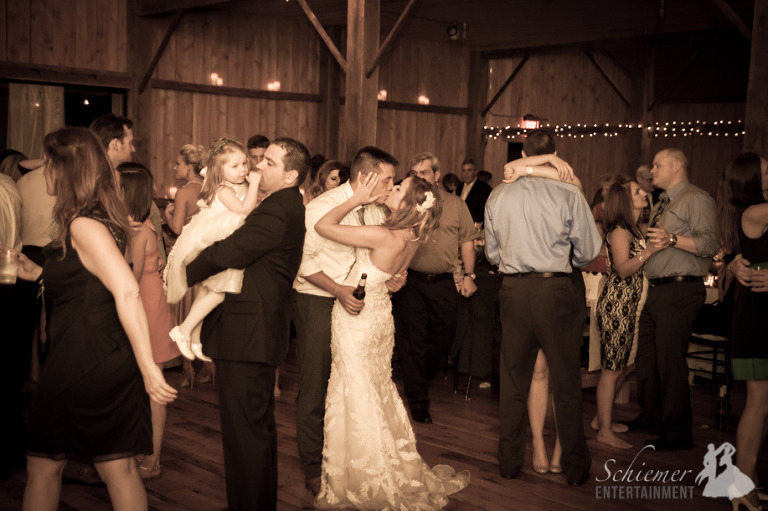 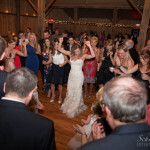 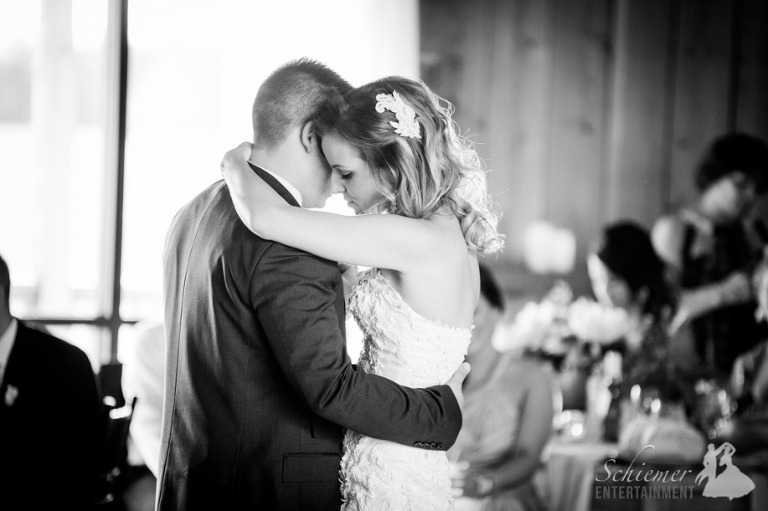 Kristen and Adam put great care into choosing music for their celebration at the White Barn in Prospect, PA. 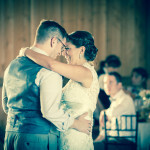 I know that many of the unique and fun tunes they selected will work there way into many weddings in the future. 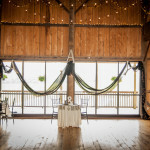 The White Barn looked amazing with lots of special details and decorations. 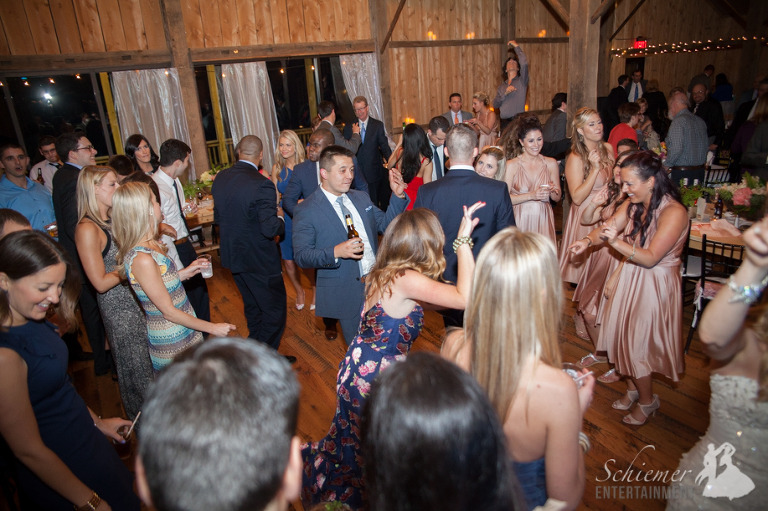 I’ll admit I was partial to their wine bottle place cards with the sign that read “You Can Find Your Seat Here… But Your Place Is On The Dance Floor”. 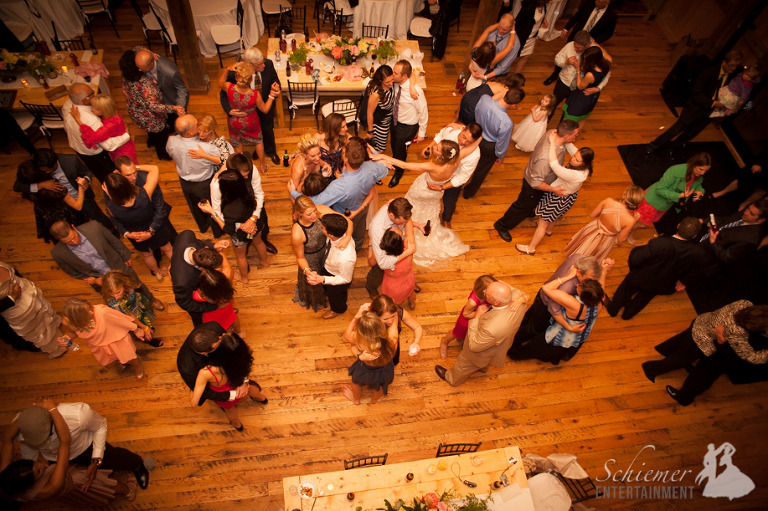 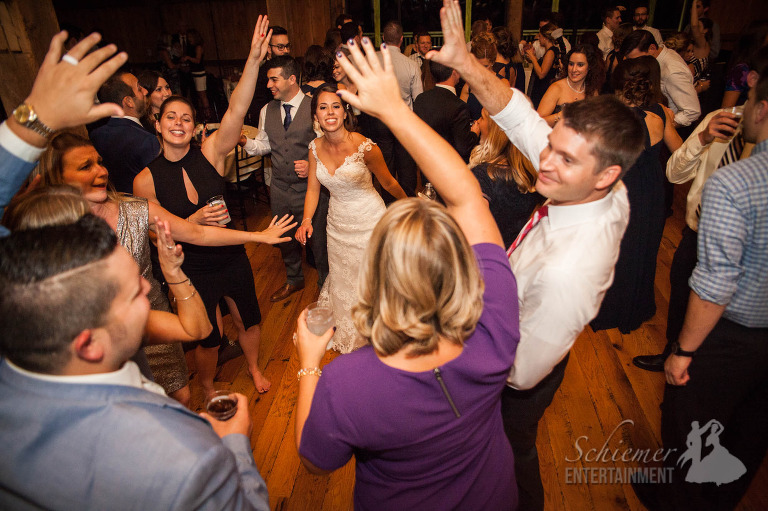 Planning a wedding from out of town can be a difficult task, but with the help of the talented staff of Soiree by Souleret, Kristen and Adam were able to give all of their guests a day filled with fun, music, and love. 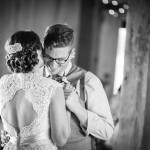 The newlyweds will soon be heading off to Greece to start their new lives together.